Been questioning if your site needs professional SEO services? It’s time to check out this post. We’re sharing 7 reasons to leave it to the experts. No matter what phase or type of business you’re running, chances are you’ve heard about how professional SEO services can help to drive traffic to your site while creating awesome content for your pages. Here, we’re laying out the top 7 reasons why hiring a professional SEO service is more cost-effective and smarter altogether than going the DIY route. Keywords account for 48% of the traffic driven to your webpage by SEO strategies. They’re a huge part of any solid content marketing strategy – but an overuse of keywords by inexperienced content writers doesn’t just make your website look sloppy, rushed, and totally unprofessional: it may even cause your site to be penalized by Google. Not to mention, if you’re not working with a professional SEO service on quality content creation, even if these keywords drive traffic to your website, once page visitors start reading the actual content, they won’t learn anything of value about your company, services, or products. That means they won’t bother to finish reading it, they definitely aren’t going to share it with friends, and they likely won’t ever visit your site again, let alone buy anything. Unique branded content that’s actually enjoyable to read is best created by professionals that know how to balance SEO and keywords with real, applicable information your customers need. If you feel like writing just isn’t your forte, don’t panic: a good professional SEO service has already screened writers that they can rely on to create content that teaches, engages (remember, in content, shareability is a key factor) and has a distinct voice that matches the tone of your target market. Billboard can cost as much as $10,000 or higher, and no matter how much you spend, when it comes to “shot-in-the-dark” advertising, there’s no guarantee that the people you want to see your ads will. The great thing about professional SEO services and strategies? They work to bring your ideal customer to your webpage – not just some random person on the Internet that will have no interest in your products. 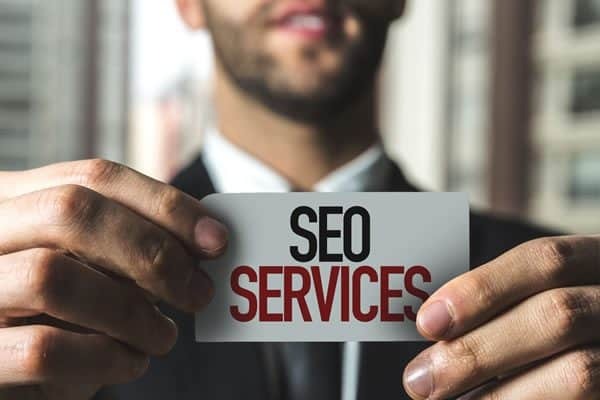 Professional SEO services are a cost-effective way to connect directly with your target market, and it also gives you access to the way your ideal customer behaves online. For example, SEO can show you where your visitors came from before they landed on your website, where they go afterward, and sometimes can even help you to find their social media accounts – meaning you get direct insight into what they’re looking for. Mining this data is an invaluable way to improve your business, your products, and your services. Use it to your advantage. Sure, other content marketing services like PPC (Pay-Per-Click) advertising are important, and they do work, but when used in combination with Professional SEO services, you’re likely to triple the traffic you’d get working with PPC alone. Plus, SEO is often cheaper than PPC plans, and it’s nowhere near the cost of buying leads or a spot on your local television channel. There are over 1 billion live websites across the globe today. While it might be a nice dream to think that you’re the only website in your industry, you know it’s not the case. This high volume of sites means that competition is more fierce than ever when it comes to getting web traffic, online sales, and links. The fact is that you can no longer afford not to use professional SEO services – and your competition already knows it. Even if your website has been live for a while, or if you created a solid SEO strategy a few years back, your competitors are likely implementing new strategies based on current market research. With the stress of running your business, meeting with clients, and managing your employees, chances are you just don’t have the time to conduct research on the latest trends in SEO on your own. Without Professional SEO services, you could be susceptible to having your site blocked for keyword stuffing, a failure to follow new regulations you didn’t know existed, or because you missed the boat on Google’s new crackdown on banner mobile ads. Without the industry knowledge of a professional SEO service, you’re essentially handing your traffic over to your competitor. Essentially, link building is when another site links to your website on their own, and it’s a valuable SEO tool that can help bump your site way up in search rankings. If the keywords you use (so, by extension, the popularity of online searches related to your business and industry) are especially popular, you’ll need even more websites to link back to your page in order to increase your traffic. While of course, these links can and do happen organically, let’s give you a reality check: to really make a difference in your site’s ranking, you’re going to need to call on the expertise of professional SEO services to give you a number of links you need. Plus, you don’t have time to add links to things like your social media accounts and blog posts – and you definitely don’t have the extra hours to “court” other sites for links. No matter what line of work you’re in, you know that if you don’t keep pace with all the changes taking place in your industry, you’re not going to last long. The great thing about SEO? It’s already been around since close to the dawn of the Internet, and as a marketing strategy, it’s not going anywhere anytime soon. As long as you keep your finger on the pulse of changes to SEO regulations (something professional SEO services can certainly help with) and keep posting on blogs, social media accounts, and web pages, it’s still a completely effective marketing strategy. In other words, it’s a much more valuable (and long term!) investment than pouring money and energy into the latest “trend” in marketing that’s going to be totally irrelevant in six months. User Experience, AKA “UX,” is a huge factor in where your webpage lands in search engine results. If someone is having a ball on your site, reading your awesome posts and digging through your internal pages to learn more, they’re going to have spent a good amount of time on your website before heading off to another page. Google takes note of that – and it certainly has an impact on your rankings. Professional SEO Services can evaluate and suggest ways to improve your site’s user experience rating, meaning that not only your rankings, but likely the business your site generates, will both soar. You know what they say – you never get a second chance to make a first impression. Well, the same goes for the day you launch your company’s website. Think of the day you open for web traffic as the “grand opening” of a brick and mortar store – you want to put your best foot forward. But, if you don’t hire a professional SEO service to polish your web page for the big day, you may miss opportunities that are impossible to get back. Professional SEO services will also be able to do things like making sure your web page headings, and of course, your website’s title, are totally killer. Keywords need to be incorporated there too, but an overuse could land you on the blacklist – it’s really a delicate balancing act that’s best left up to a professional. If this sounds like a lot to handle while you’re getting ready to open for business, it’s because it is. Ask yourself: with everything you have going on right now, do you really have the time to dedicate to the creation of your new company’s website that it deserves? And, if you don’t, are you willing to sacrifice that quality and put something out you know isn’t good enough? Yeah, we didn’t think so. Hire a professional. Ready To Hire A Professional SEO Service? We’re confident that these seven reasons why going with a qualified SEO service over the guesswork (and ultimate ineffectiveness) of trying to create your own SEO strategy have fully convinced you to hire someone to help optimize your business’s website. When deciding who you want to work with, go with a company with experience, one that’s worked with both large and small businesses, and that has a proven track record of success. We don’t mean to brag, but that’s definitely us. If your tired of always seeing your competitor’s name above your own in search engine rankings, get in touch with us to create a plan that will help push your website where it belongs: at the top of every list.